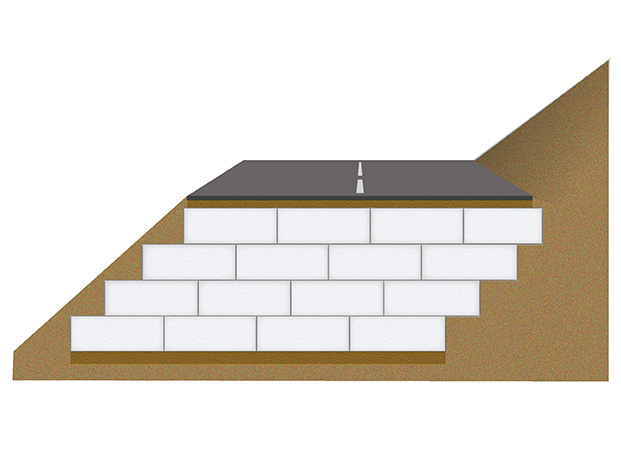 Among the most versatile lightweight materials available. 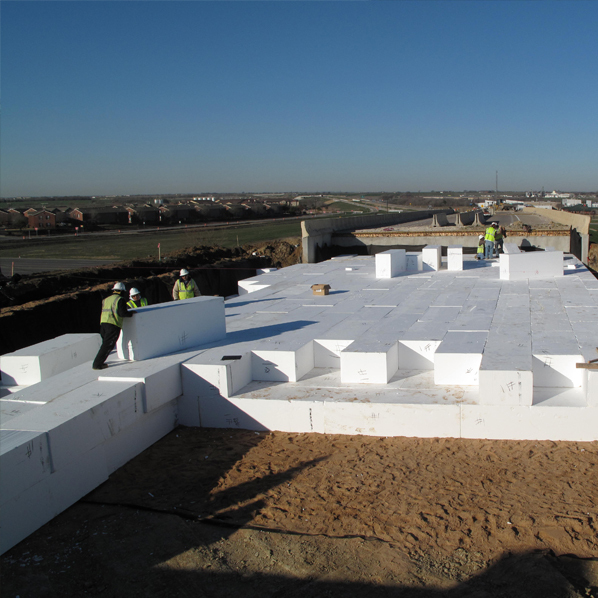 Geofoam maximizes onsite installation efficiency. 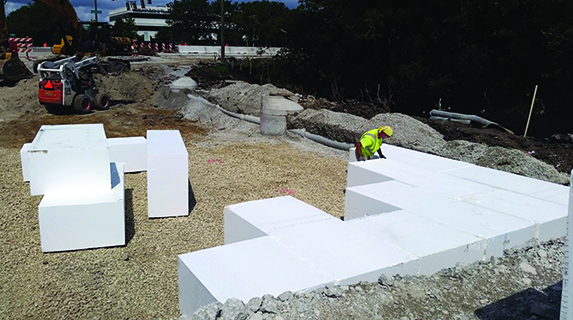 Geofoam arrives at the job site ready to place. 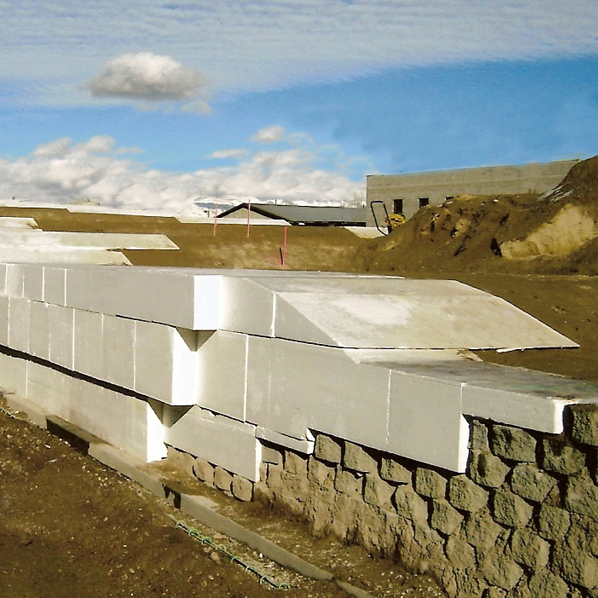 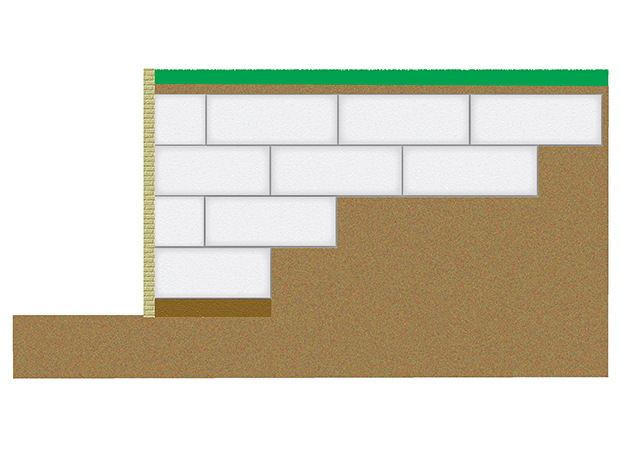 Geofoam is used as backfill behind retaining walls to greatly reduce lateral pressures. 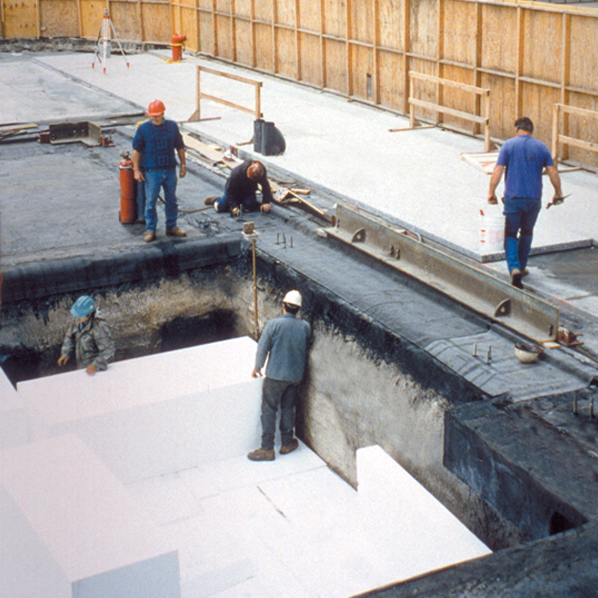 Geofoam is used to replace heavy fill materials to reduce settlement. 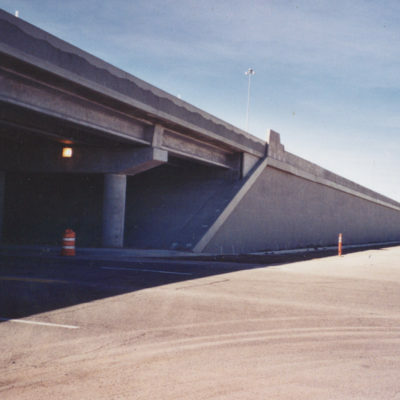 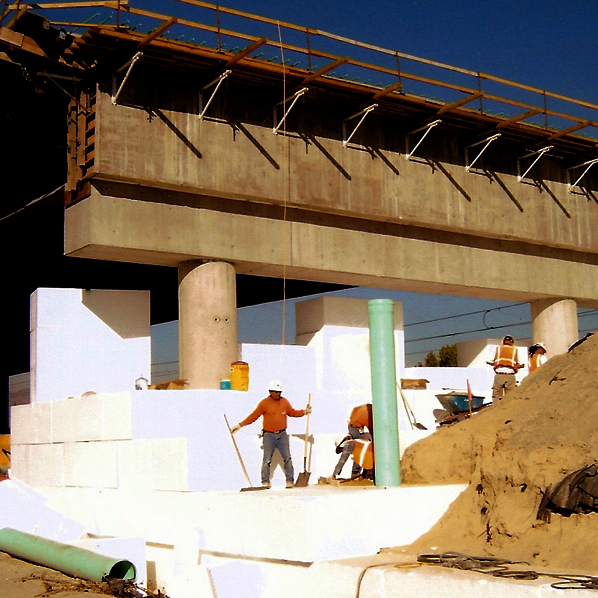 Geofoam is used to safely support highway loading without over-stressing the underlying soils and to reduce differential movement. 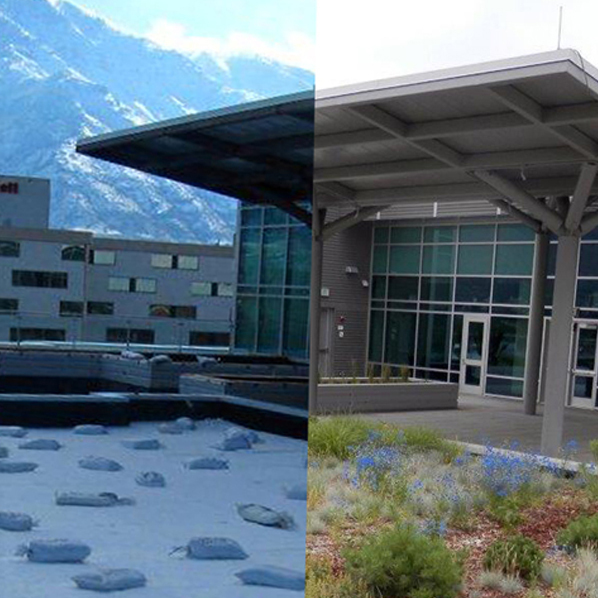 Geofoam is used to create topography and reduce loads on underlying structures and services. 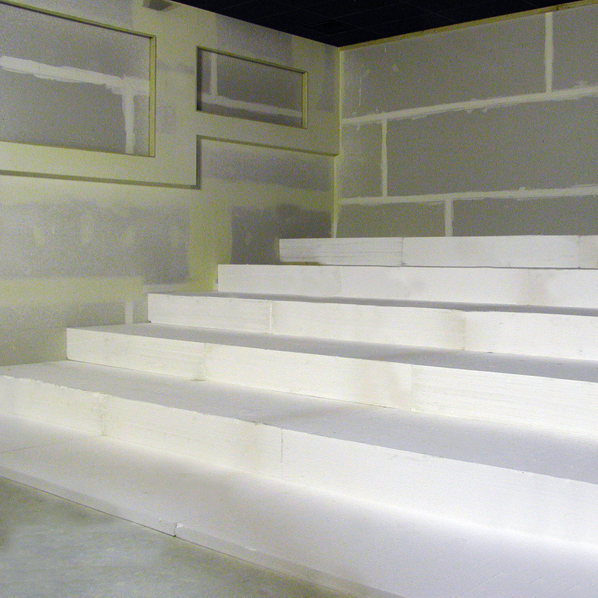 Geofoam is used to form tiered seating in locations such as auditoriums, movie theaters, and gymnasiums. 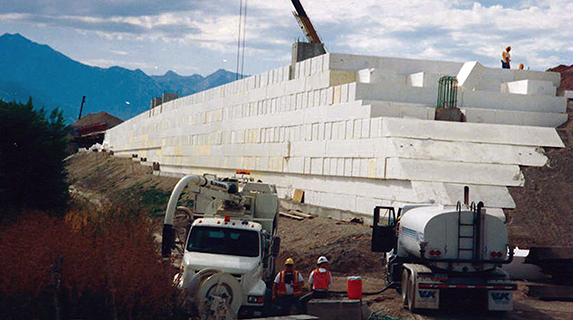 Geofoam is used to reduce the load on underlying compressible soils to minimize settlement. 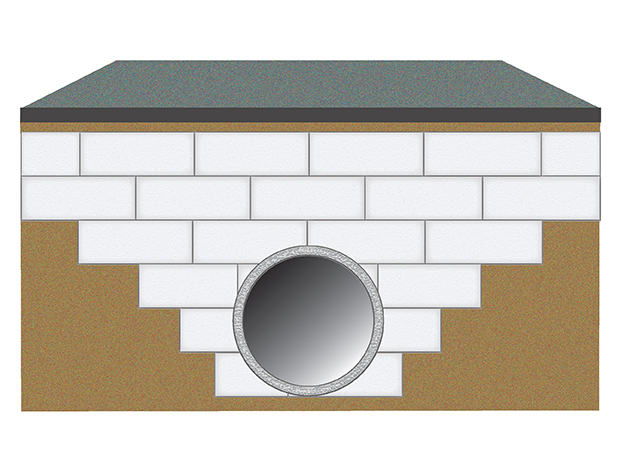 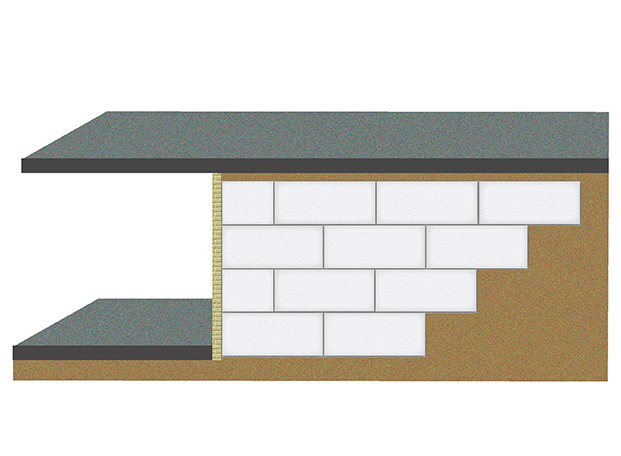 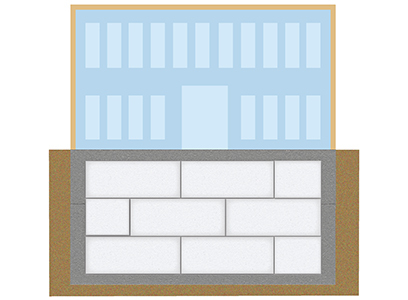 Fill loading is reduced by using Geofoam instead of heavier fill materials. 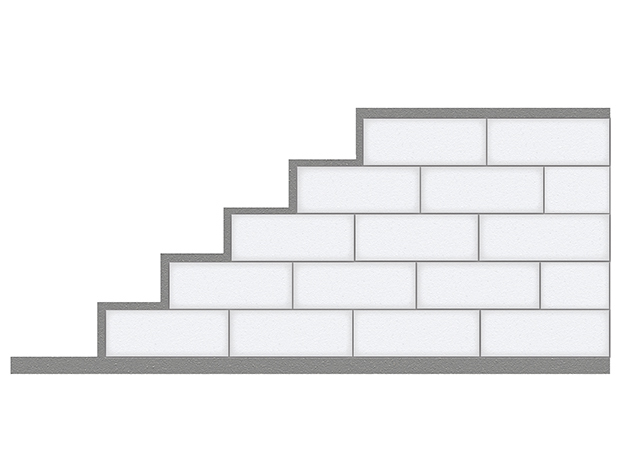 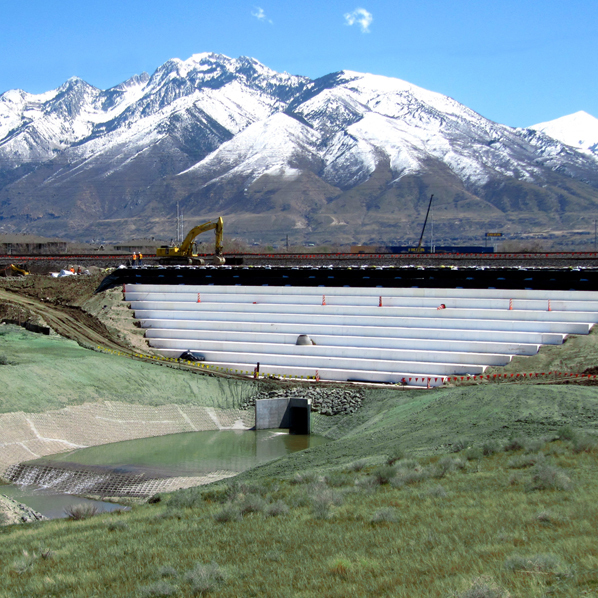 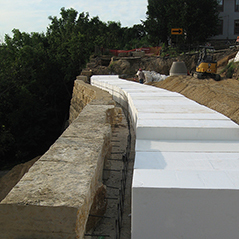 Geofoam is used for slope stabilization and improves slope stability. 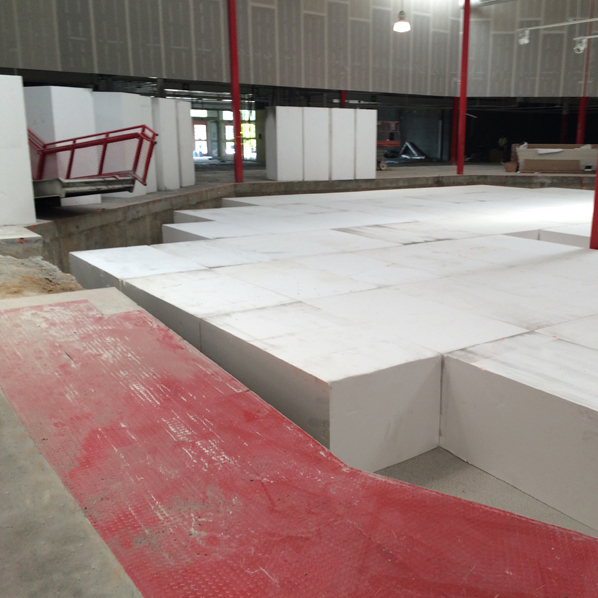 Geofoam infill is simple to handle on site, making it easy to adjust building floor elevations. 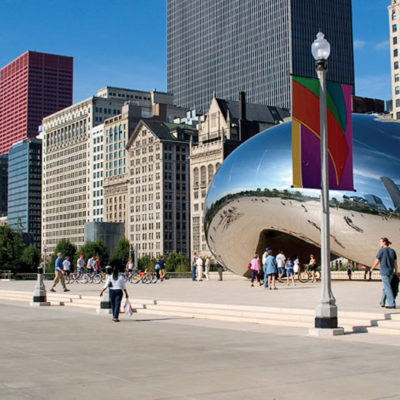 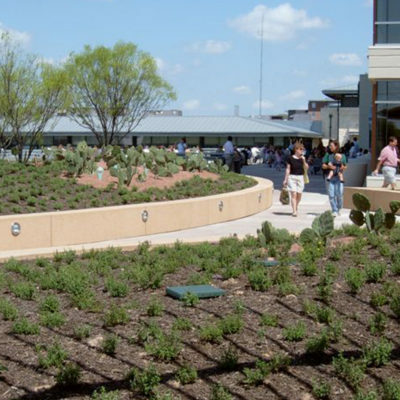 Explore some of the impressive and elegant Foam-Control Geofoam transportation, plaza, and building applications. 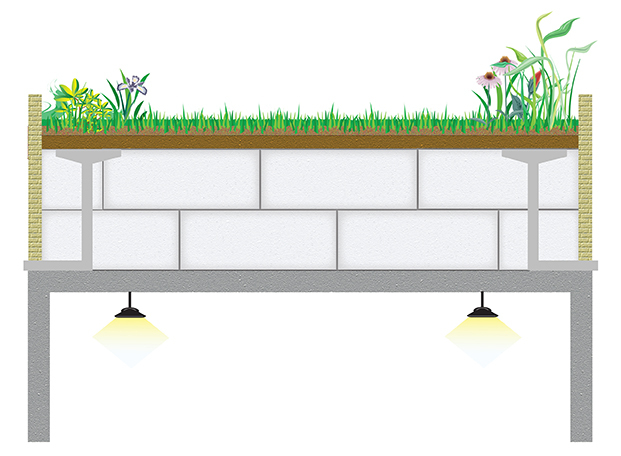 Design Resources are available to assist with your project. 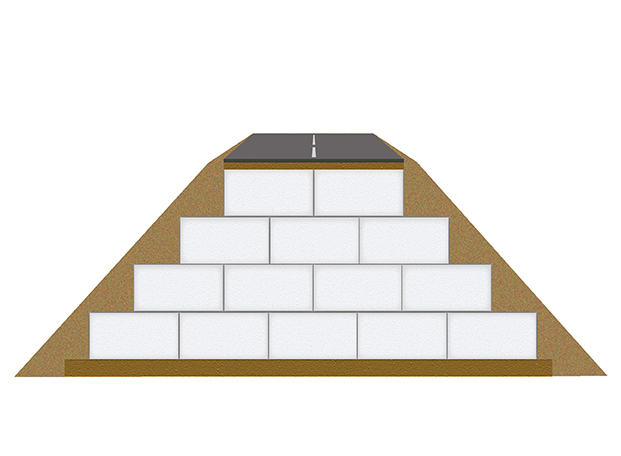 Foam-Control Geofoam is manufactured to your specification by these trusted facilities. 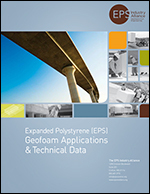 Poliestireno Alfa-Gamma S.A., de C.V.
geofoam industry to ensure compliance with ASTM D6817. 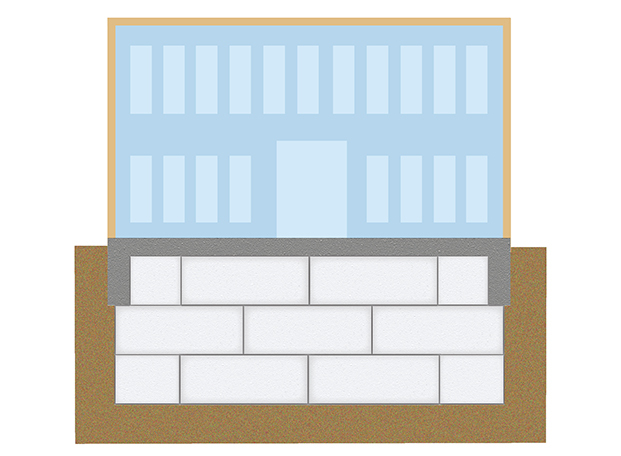 They provide quick response time at economical pricing.